The origins of Toshiba air conditioning dates back over a hundred years to 1875. The forerunner to the brand Tanaka Engineering was established in 1875 as the first manufacturer of telegraphic equipment in Japan. 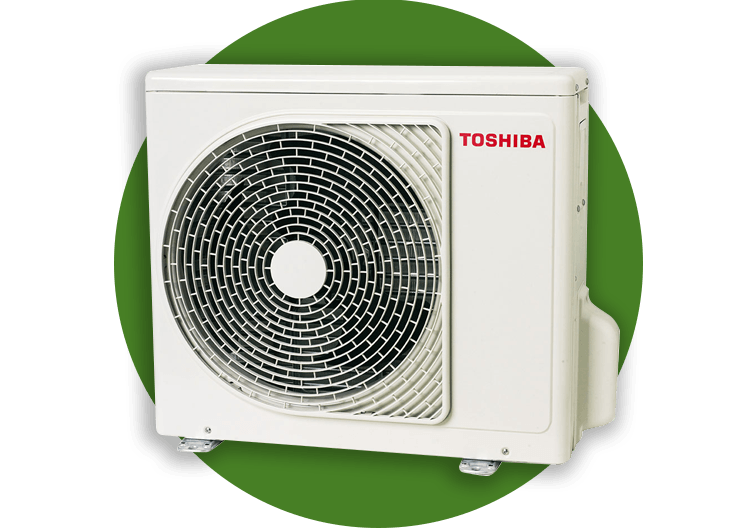 Over the last thirty years, Toshiba has been leading the air conditioning market with their innovative designs based on data from studying every aspect of the industry. Toshiba maintains that quality is their priority and there are no compromises, with this philosophy being behind every unit that leaves the production line. The entire marketing structure of Toshiba is that they care about providing better air. The product range is designed to comply with all regulations, including excluding restricted substances such as mercury, lead, and cadmium from the production materials of each component. The company uses plastic that can be recycled to minimise the environmental impact of waste electronic goods. However, this technology is not at the customer’s expense. The brand has increased cost savings through the use of digital technology to offer efficiency and superior control. Toshiba air conditioning aims to offer a fantastic balance of high efficiency with high power. This combination is achieved through the innovative hybrid inverter used on Toshiba air conditioning units. This inverter integrates two compressor control modules so that it can maintain a constant natural comfort level with the maximum possible energy efficiency. Pulse Amplitude Modulation ensure that the highest power level is available when you want to cool or heat the room quickly, while Pulse Width Modulation maintains the optimum energy efficiency and desired temperature. This allows the unit to offer the best of both worlds. Toshiba air conditioning units are designed with a combination of technological developments to ensure that future generations are considered. The brand has a strong commitment to evaluate the impact of any new technologies on the environment. The product range offers fantastic energy efficiency with the assurance that greenhouse gas emission has been reduced at source. The twin rotary DC compressor offers a stable performance with the minimal amount of friction. This makes it ideal for applications where it is noise sensitive, as the outdoor unit has almost imperceptible noise output. The compressor can also help to reduce energy consumption over prolonged periods. It rotates two rollers simultaneously to create accurate compression with reduced energy loss.